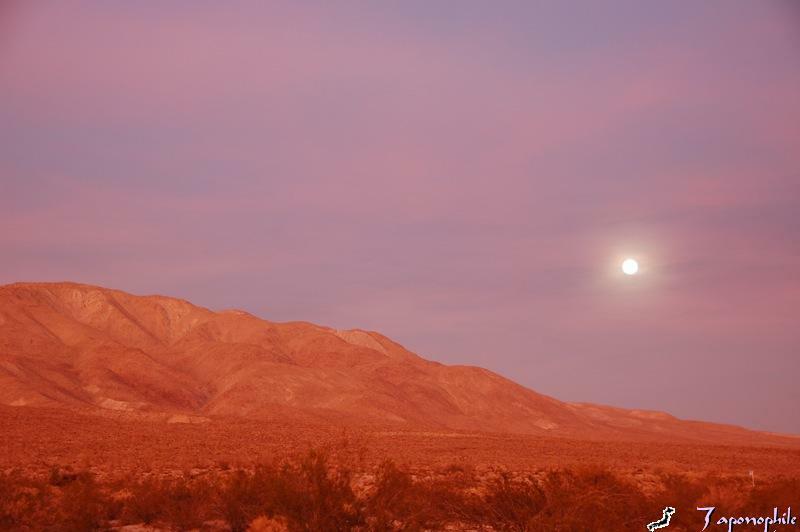 After docking our traveling space vehicle, the Airstream Safari, at this remote base station below Ghost Mountain in the California desert under the rising full moon earlier this month, we set up camp and enjoyed eating spicy food under the stars. 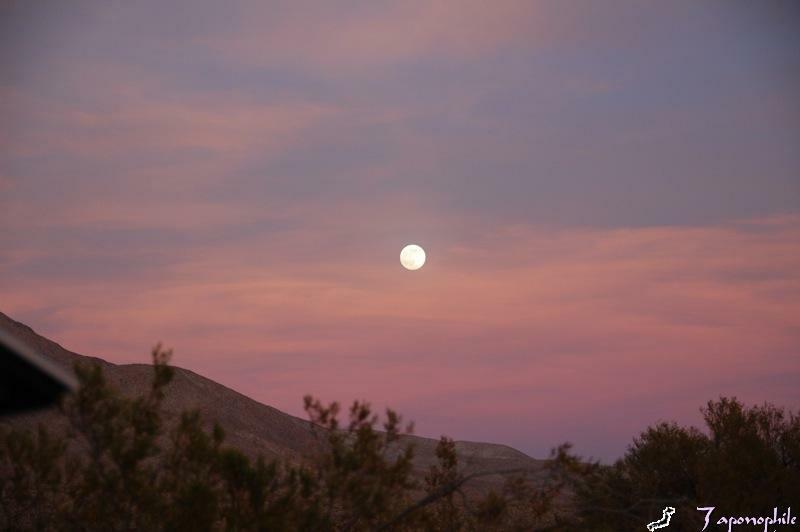 While listening to yipping coyotes and the crackling campfire and watching the flickering lights dance on the trailer, my mind wandered to more reports of strange lights over the skies of San Diego and to thoughts about the ghostly legends of this Ghost Mountain area. 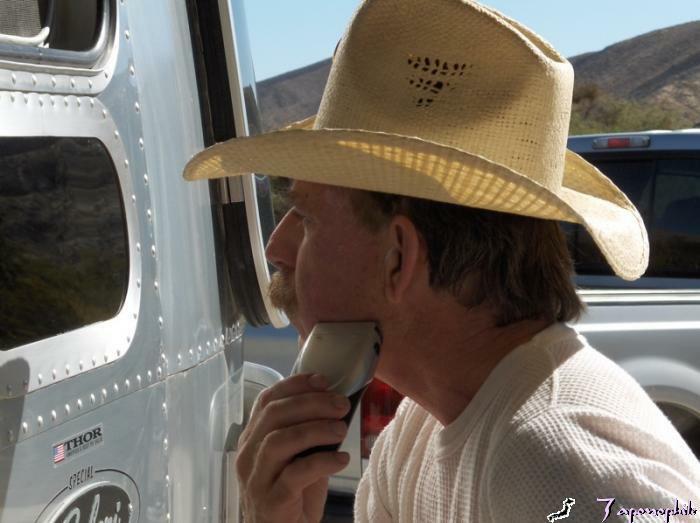 These thoughts evaporated into the thin and dry desert air the following day as I protected my skin from the burning rays of the sun while I shaved with the help of the trailer’s Vista View window, which was now multi-tasking as a mirror. streaking across the sky and I remembered flashing lights reported by NASA. 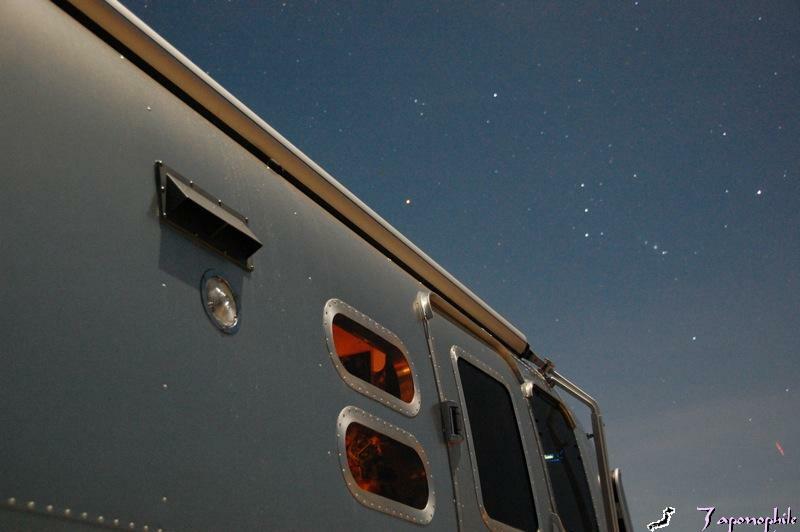 Could this be the Ghost Lights of Anza-Borrego? 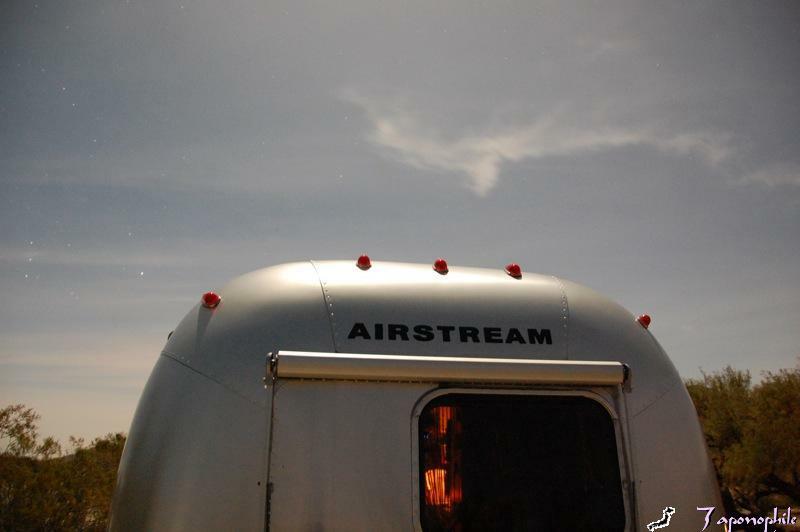 It seemed to land on the other side of Ghost Mountain and I was determined to locate it, so I closed the pod bay doors and prepared to launch our custom-ordered Airstream using its built-in De Laval nozzles. Ground Control… Can you hear me now? 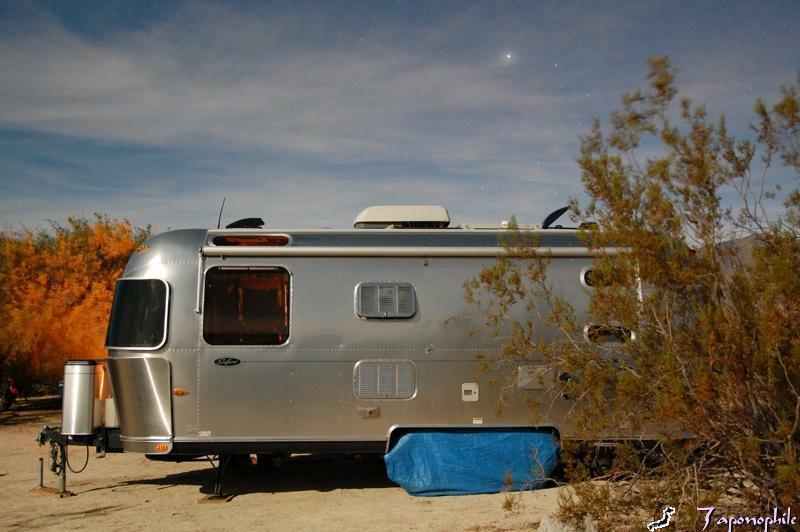 Wally Byam, designer of the Airstream travel trailer, wrote a letter to Desert Magazine, in the March 1941 issue, praising Marshal South for setting the example of escaping the treadmill side of life, along with being “slaves to businesses, jobs, possessions and conventions” and for living his dream of going back to nature and depending on minimal stuff. 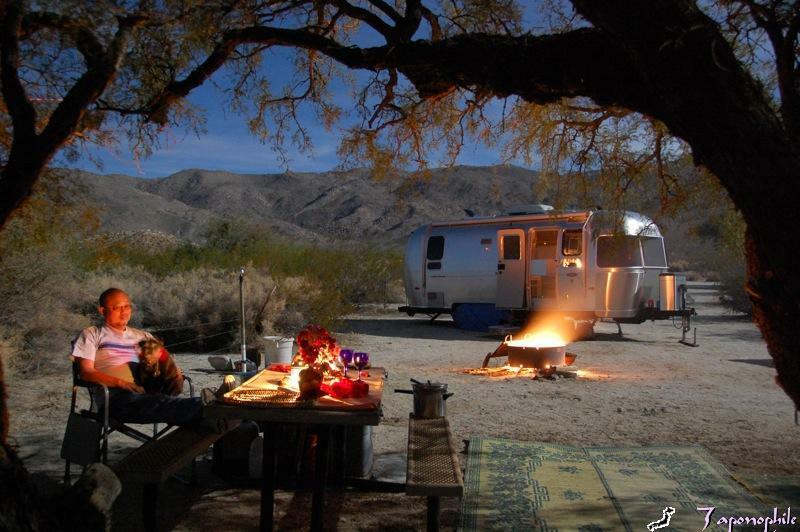 Read more about this and see photos of Yaquitepec along with Marshal South and family in the article, “Marshal South & Wally Byam – Parallel Roads, Different Destinations”, pages 36 to 39, in the Fall 2008 issue of Airstream Life. 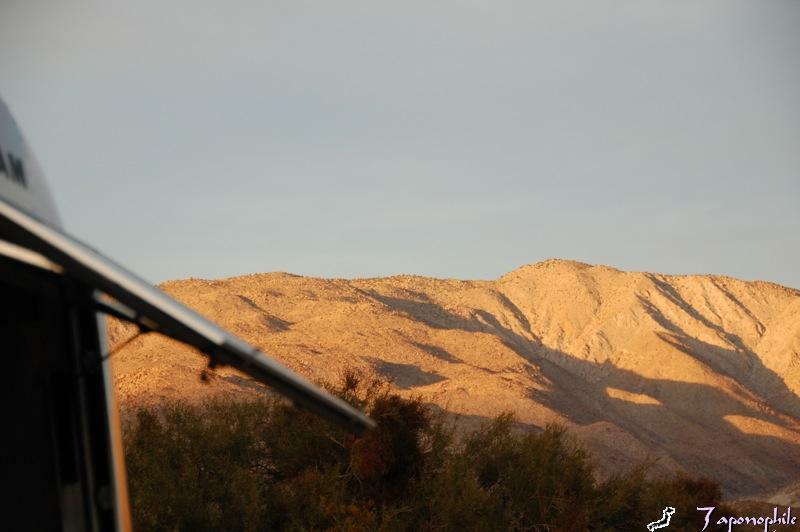 Additional information, along with the complete collection of his writings from Desert Magazine, is contained in the book, Marshal South and the Ghost Mountain Chronicles – An Experiment in Primitive Living, edited by Diana Lindsay, Sunbelt Publications, 2005. The newly released DVD of John McDonald‘s full length and uncensored documentary, The Ghost Mountain Experiment, is now available and previewed here. 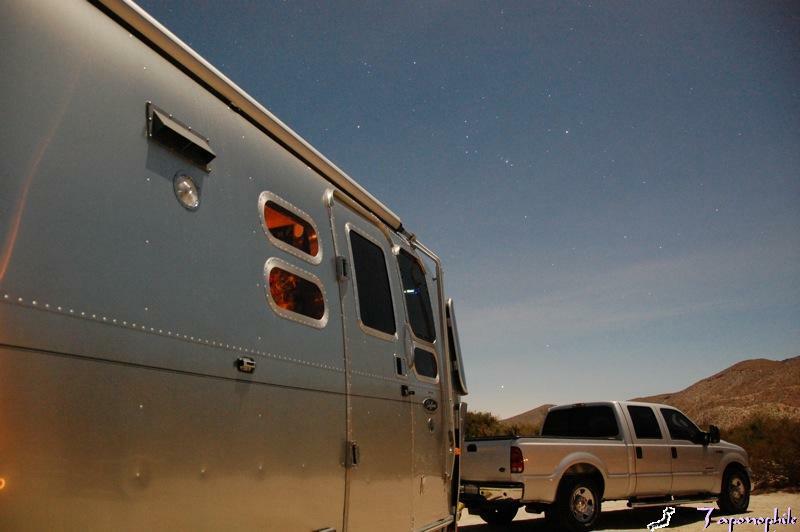 Just as I had hoped, the Beaver Moon, also known as the Frost Moon or Snow Moon, rose shortly after setting up camp and bathed the trailer and landscape with beautiful, reflected sunlight which was thirstily absorbed by my Nikon D40 camera set on Auto (Flash off) Mode, as previously illustrated and described in my Cuyamaca spirits rising article. Rich Luhr pointed out the fun of experimenting with nighttime star photography in his article on his visit to Navajo National Monument, Az, earlier this fall. 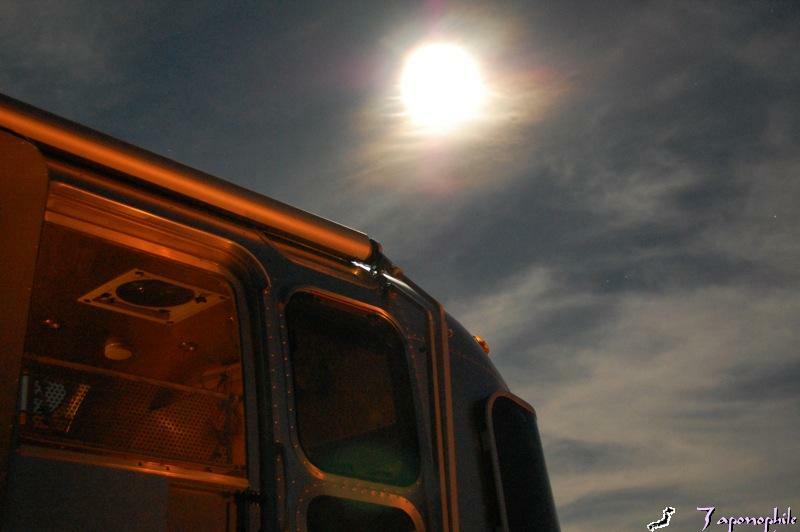 The above is really sunlight bounced off of the moon as evidenced by the candle light inside the trailer and the stars above. 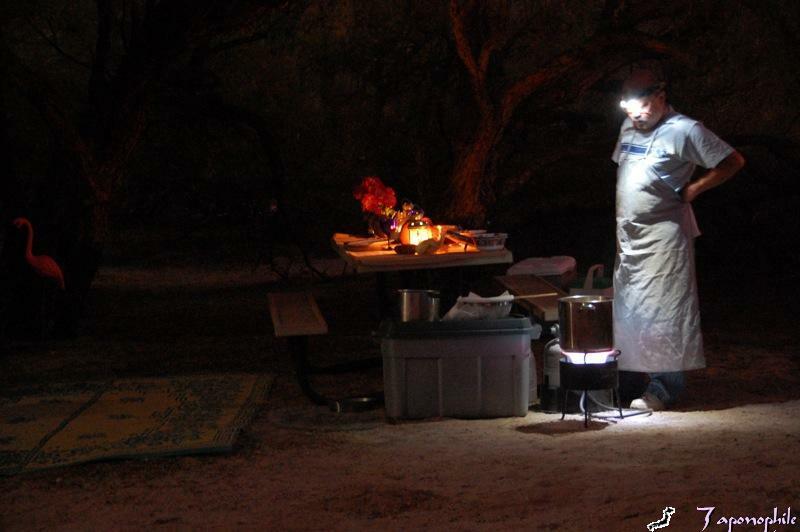 It really was nighttime as Larry deep fried potatoes and cauliflower while I cooked steak on the hibachi. 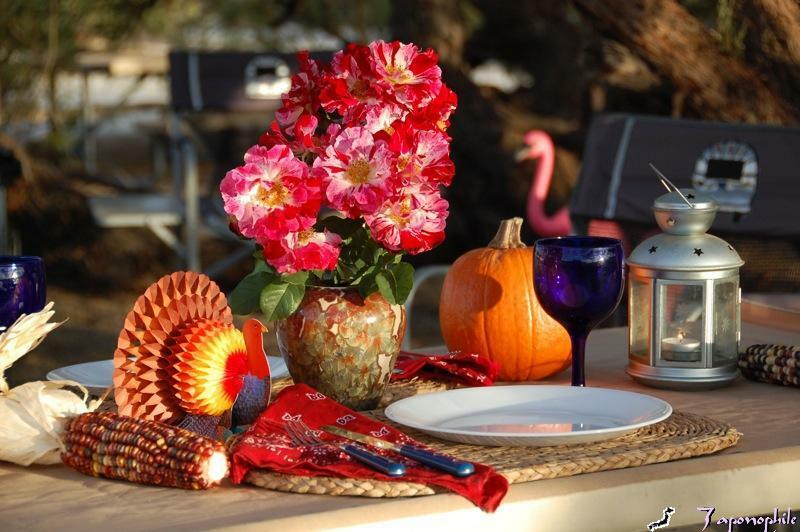 And look forward to celebrating Thanksgiving with family and friends. If you are in the area, instead of shopping at the mall for more stuff after Thanksgiving, you could take advantage of a special event this weekend in Anza-Borrego, the screening of John McDonald’s The Ghost Mountain Experiment, 7:30 p.m. on Saturday, November 29, at the Borrego Springs Performing Arts Center. 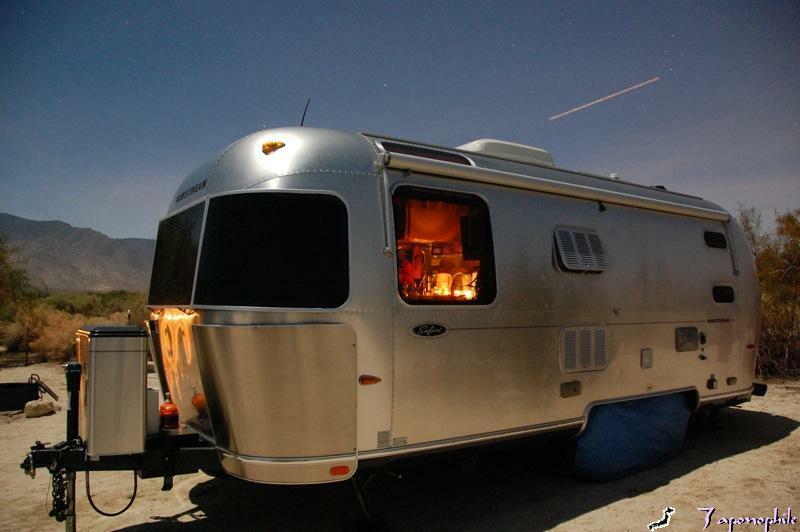 One of the selling points for us when deciding which Airstream trailer would best meet our needs was that it would be safer to have two axles rather than one in the event of a flat tire. We chose the largest trailer (23′ Safari) that would comfortably fit in our driveway, and considering all of the stuff that we take with us, it is good that we have two axles. One of the caveats (as noted in this Airstream Forums thread) to be aware of with multi-axle trailers is that drivers are often unaware of low or flat tires until the entire tire fails which could lead to extensive or catastrophic trailer damage. For years I have followed Rich Luhr’s experience with tire problems as summed up in his Tour of America post, “A tirade about tires“. 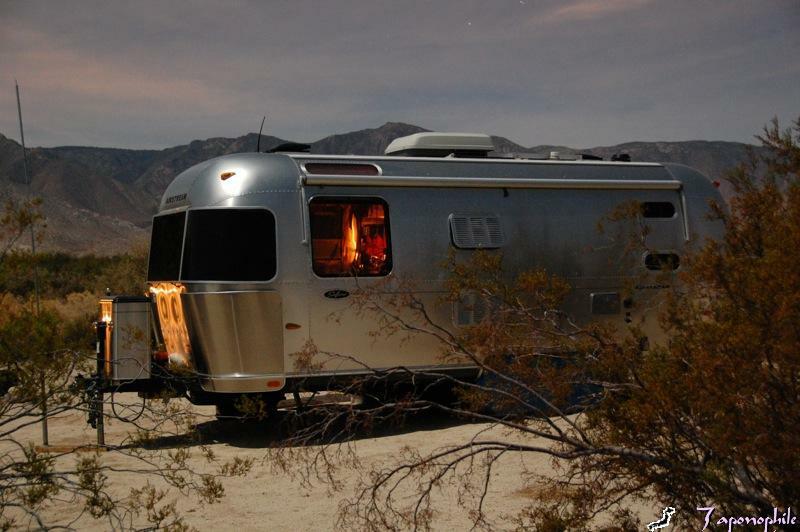 One way to increase awareness of the state of our tires, especially while moving, is through a tire pressure monitoring system (TPMS), discussed here on the Airstream Forums. 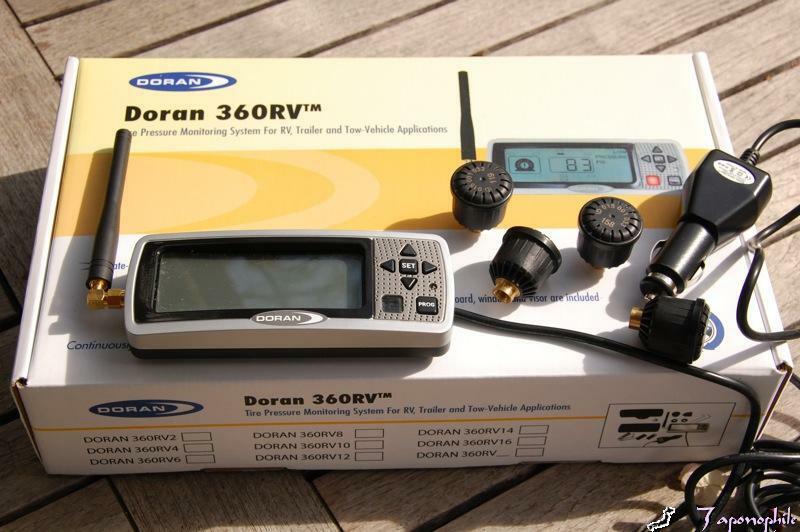 After reading about Rich’s decision to install (last May) the Doran 360RV Tire Pressure Monitoring System for RVs, Tow Vehicles and Trailers, and after reading the Doran 360RV advantages in their ad in Airstream Life, Fall 2008 issue, page 74, and as our tires are now over two years old, we decided it was about time to add an extra measure of safety and ordered our Doran 360RV directly through Doran Manufacturing LLC. The item was shipped free and arrived within four business days via UPS. This system can continuously monitor up to 36 tires. We started with 4 sensors for the trailer. This system installed and worked so well during our trip to the desert last week, that we plan on getting four more sensors for the truck. Besides the monitor and sensors pictured above, other system components included are the sensor lock with wrench for each tire position purchased, visor clips and self-mating fastener tape mounting kit, adjustable pedestal mounting kit, Dill valve tester, and the Installation and Operation Manual. First I programmed the monitor for the appropriate maximum cold tire pressure rating of 50 PSI for our ST215/75R 14C tires. Then each sensor with its own 3-digit serial number is assigned to each tire location. Once the monitor is programmed, the sensors are screwed onto the tire valve stems and the monitor is hooked up to a 12-volt power receptacle. 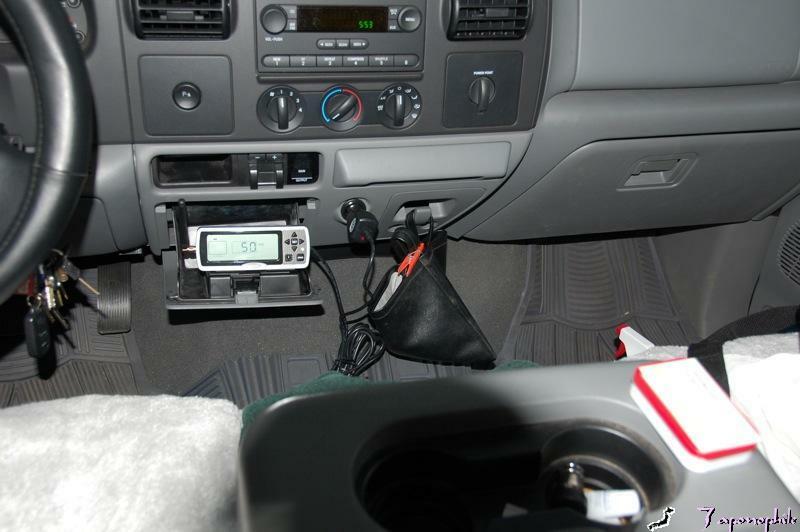 In our 2006 F-250 truck the monitor fits perfectly in the pull down smaller storage compartment and is securely held in place by the self-mating tape supplied. It is then plugged into the 12-volt power receptacle nearby. The Operation Manual points out that the sensors transmit a coded RF signal and the monitor will alert if the pressure drops more than 12.5%. A second more urgent alert occurs if the tire pressure drops more than 25%. 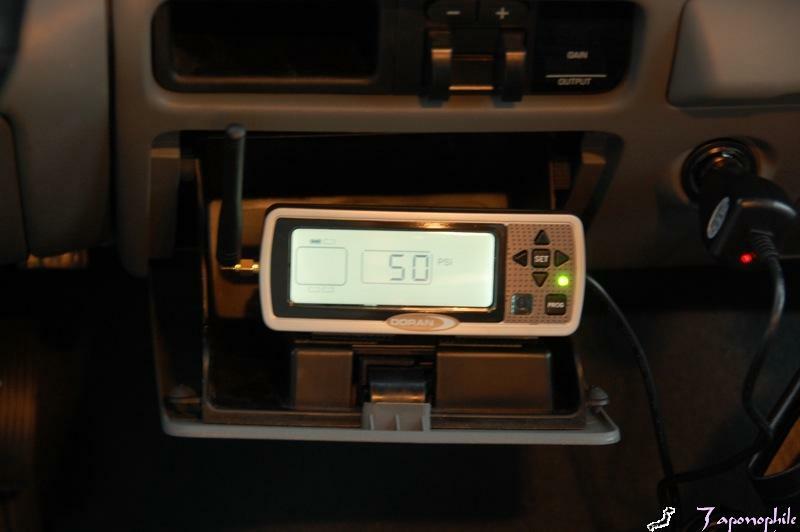 Additionally, we have our monitor programmed to alert us if a pressure is detected to be 25% higher than the programmed baseline pressure, which can assist in the checking of elevated heat in the tire. During our recent trip to the desert, we heard no alerts, thankfully, and it was interesting to see the tire pressure raise from 50 to 55, and to a maximum of 58 PSI coming back due to tire heat. After unhitching the trailer, I covered the tires to protect them from the UV rays of the sun. 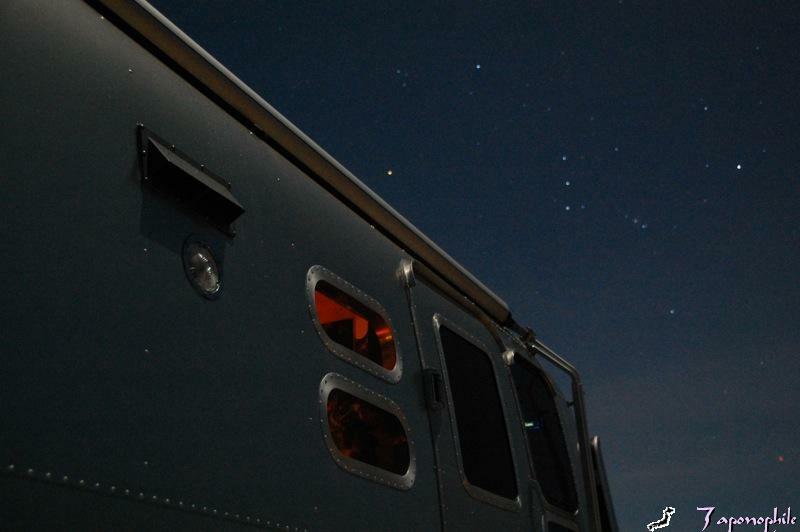 The picture above actually shows the trailer being lit up by the full moon last week, as evidenced by the stars over the trailer, candlelight showing through the windows, and trees on other side of trailer glowing from the campfire! (More about that in my next posting). 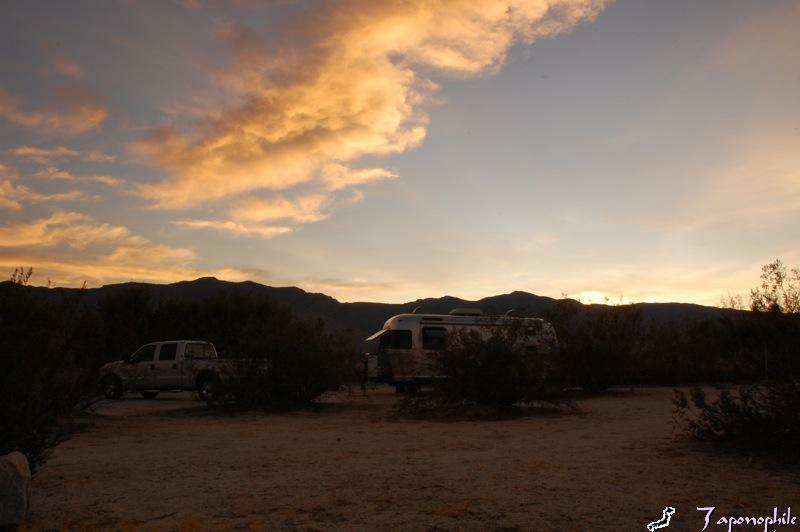 When we arrive at a campsite, we check for nails, screws and any other dangerous items before backing in. The above picture shows the Doran 360RV sensor in place and the nail and large screw that was in our space waiting to puncture our tires. Another benefit of these sensors (which I added to my routine) is that I can now check the tires during our stay (and not have them lose any air) to make sure they don’t have a slow leak from any inadvertent screw or nail picked up along the way. 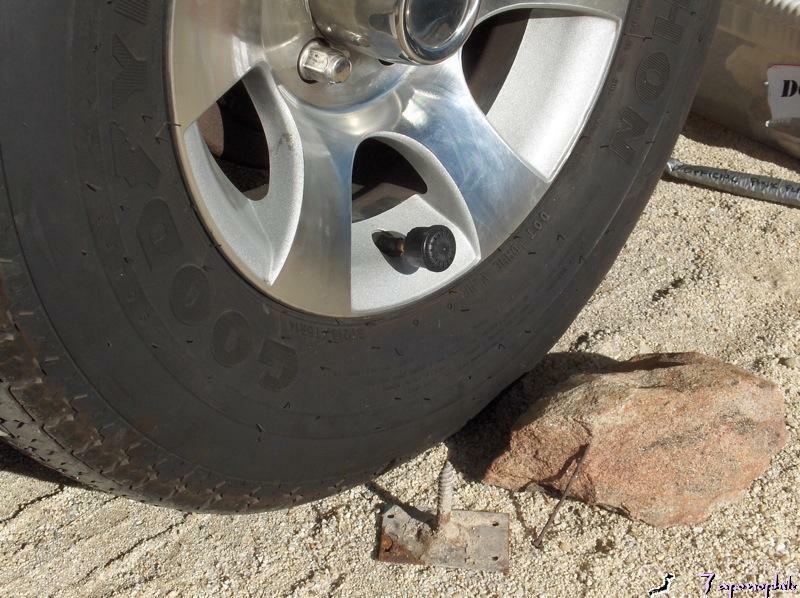 Three months ago, Rich Luhr’s Doran 360RV Tire Pressure Monitoring System alerted him of a rapid de-inflation of his right front trailer tire, enabling him to do a quick stop before the tire “shredded into lots of expensive rubber parts”, as described in his Flat tire on I-270 post. A short time later his system warned him of low pressure in his left rear tire that he attributed to bad valve stems. Overloading and under-inflation are two common factors in why tires fail. Other factors are listed here by Rich Luhr. I found this sobering You Tube video, How to Handle a Tire Blowout in Your RV, made by Michelin for the Recreation Vehicle Industry Association, which I urge you to watch. Although “It’s the end of the mall as we know it“, it is the beginning of the holiday shopping season and time to start buying more stuff to save the economy… at least stuff that will support our RV industry and Airstream Life (Doran Manufacturing LLC continues to be a supporting advertiser, their ad will appear in the Winter issue).